The hopes were not high for the Miami Dolphins entering their Monday Night Football game against the Carolina Panthers. They needed Jay Cutler to have a career game and for the entire defense to play up to Ndamukong Suh’s reputation. It would help if Cam Newton could have an off night, too. Jay Cutler wasn’t bad, but he didn’t do much to help his team win either (22-37 for 213 yards, two touchdowns, and one interception). Miami’s defense had no answer for the Carolina offense, and as for Cam Newton—well, his night was anything but off. Newton didn’t get the Panthers into the end zone until about midway through the second quarter. But once the Panthers started scoring, they didn’t stop. Miami answered Christian McCaffrey’s four-yard touchdown run with a 10-play, 75-yard touchdown drive to cut the gap to 10-7. But that would be as close as the Dolphins would get. Newton took advantage of the field position Luke Kuechly’s interception gave the Panthers to take a 17-7 lead into halftime. At the time, the game was still close and within reach for the Dolphins if they could stop Newton and get their own offense moving. But they couldn’t do either. Carolina scored touchdowns on their first four drives of the second half to make what was a close game an ugly one. Miami closed out the scoring with a nine-yard touchdown pass from Cutler to Jarvis Landry late in the fourth quarter. But the garbage touchdown just made the final score look a little better for the Dolphins, 45-21. Carolina outgained the Miami offense 548 to 313 and had nearly 300 yards rushing (294). “I still feel like we are scratching the surface of our potential in this offense. 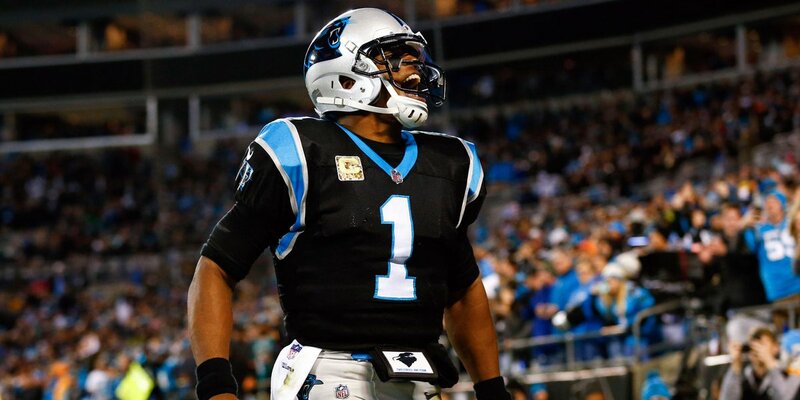 We have to trust in our ability to execute our coach’s plan,” Newton said after the game (ESPN). Newton had the kind of game that will make fans think of his MVP season with 254 yards passing (21-35), four passing touchdowns, and 95 yards on the ground (highlighted by a 69-yard scamper in the second half). In their second game without former starting running back Jay Ajayi, the Dolphins struggled to run the ball again. Like last week, Kenyan Drake led the way but gained the bulk of Miami’s total rushing yardage on one run. Carolina is on a roll. While many wondered why the Panthers got rid of their best wide receiver, the team doesn’t appear to be missing Kelvin Benjamin at all. 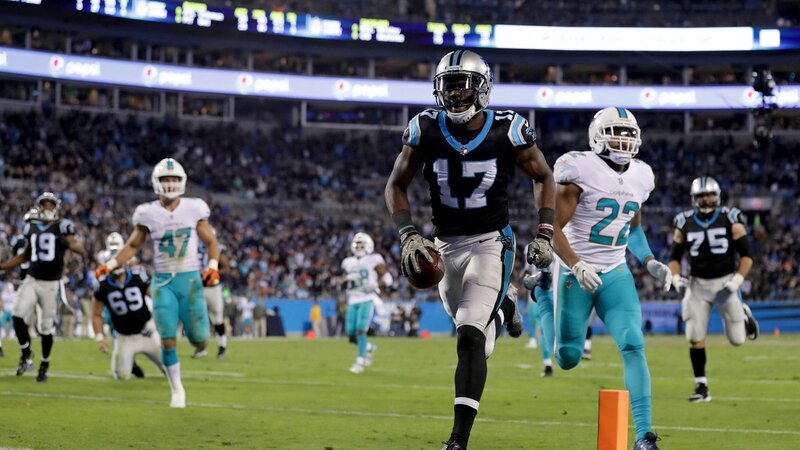 As they hoped, Devin Funchess has stepped up making ten receptions for 178 yards and two touchdowns in the last two games. But the bigger help has been the team’s newfound run game. After averaging less than 100 yards/game in the first eight games of the season, they’ve rushed for 200+ in their last two games (201 and 294 respectively). Fans will find out just how good the Carolina offense is in the weeks to come when they face three of the toughest defenses in the league. They face the Jets next week followed by the Saints and Vikings. Miami wasn’t terrible, but once the floodgates opened for Carolina’s offense, it became clear how outmatched they were. It’s kind of hard to win games in the NFL when you give up nearly 300 yards rushing. Their next opponent is another team struggling to find an identity, the Tampa Bay Buccaneers. But then they face the New England Patriots twice in three games.